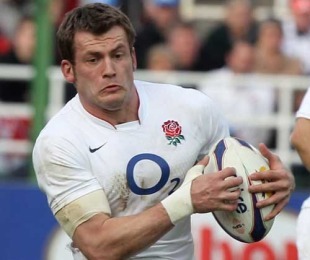 England wing Mark Cueto has been cleared to play in Saturday's second Test against Australia after being found not guilty of a dangerous tackle on Wallaby centre Berrick Barnes. Cueto was cited for a fifth minute incident in England's 27-17 defeat to Australia in Perth and he attended a disciplinary hearing today along with team manager Martin Johnson and elite rugby director Rob Andrew. New Zealand judicial officer Peter Hobbs presided over the hearing in Sydney and dismissed the charge after reviewing the evidence. Cueto would have been ruled out of the tour had he been found guilty but is now a certain starter on the right wing against the Wallabies next Saturday. England have won just eight of the 22 Tests played since Martin Johnson was appointed as team manager in 2008, an inferior record to predecessors Brian Ashton and Andy Robinson. Scrum coach Graham Rowntree backed Johnson as the right man for the job and insisted a "breakthrough victory" in Sydney would do wonders for the team. "I have got every faith in him," said Rowntree, who played with Johnson for Leicester and England. "He is a mate and I trust him. I trust his rugby knowledge. He is good with people. He is the right man for the job. "He gets a couple of wins under his belt and everyone will be saying the same. We can't hide from the fact we are not getting those wins but we can't stop trying. I can't think of the last occasion that a team scored two penalty tries and lost. "How do you think we feel after last night? We had a chance there with all their injuries. We are gutted. I believe we are still progressing. That team that won the World Cup in 2003 was not perfect for a long time. "You ask Jonny Wilkinson when the switch was flicked that made England a World Cup-winning team - it was winning in Wellington, winning in Melbourne and at Lansdowne Road a few months earlier. We are desperate for that (breakthrough) win."